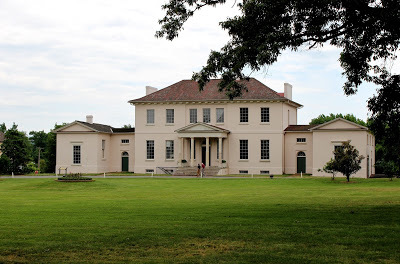 Riversdale, an elegant Federal style manor house, was constructed between 1801 and 1807 for Henri Stier, a Flemish aristocrat, and completed by his daughter, Rosalie, and her husband, George Calvert, grandson of the fifth Lord Baltimore. Today, this elegant architectural gem has been restored to reflect the lifestyle of the Calverts in Federal America. Rosalie Calvert’s letters, supplemented by other archival records and archaeology, are used to provide modern-day visitors with a better understanding of the period. The journal of Adam Francis Plummer, an enslaved man owned by the Calverts, provides a rare first-person account of African American life in 19th century Maryland. The museum is open to the public for docent-guided tours and for a variety of special events. It also may be rented for weddings, receptions, luncheons, and business meetings. The volunteer Riversdale Historical Society works with M-NCPPC staff to preserve the cultural heritage of Riversdale and maintain the mansion as an historic house museum.